Dr. Massa is in private practice, and has been Life West faculty and the Compliance Officer for the Life West Health Center. She’ll guide you through the latest laws, policies, and procedures so that your practice will be compliant and up to date. Understand the significance sanctions imposed to HIPAA violations. Stuart Hoffman, DC, shares wisdom gained through his experience as a practicing chiropractor, legal/ethics coach, and CEO of ChiroSecure malpractice insurance. 2 CE hrs CA Category A (mandatory) ethics. Ethics, Law, HIPAA, & Social Media - and lively too! 2 CE hrs, CA Category A Ethics (mandatory). Accessibility, Regulations and best practices as it relates to HIPAA laws. Park by Student Entrance on Clawiter Road side of building, then look for signage directing you to the check-in area. See Campus Map for details. Dr. Michelle Massa is a 2007 graduate of Life Chiropractic College West. Her background is in Health Education, Ergonomics and Chiropractic Education. She teaches Continuing Education courses for chiropractors in various topics including Ethics and Law, HIPAA, History and Exam as well as Ergonomics with Chiropractic Technique. She is also the founder of the Latin American Chiropractic Association which supports and empowers doctors of Spanish Speaking descent and Spanish Speaking chiropractors internationally. 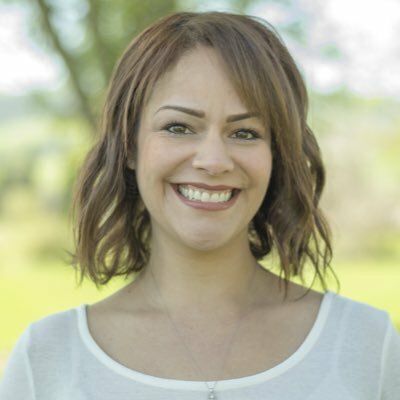 She is in private practice in Danville, California specializing in Women's Health. See below for a list of credits available for this seminar. If your state is not listed, please contact the Life West CE office to discuss pursuing Board approval. Every attempt is made to offer Life West CE programs as announced. However, Life West reserves the right to adjust program faculty, locations, dates, times and tuition to accommodate unanticipated occurrences and to cancel programs owing to insufficient enrollment, illness, or other factors. Life West will notify advance registrants of any cancellation or significant program changes. Life West is not responsible for any expenses incurred by registrants due to adjustments or cancellations. Refunds for program registration are granted if requested in writing no later than one business day before program begins. If registrants cancel within one week of program start date, a $50 processing fee will be deducted from refunds. Less than one business day before the program begins, registration is nonrefundable but a credit voucher may be issued. Vouchers must be requested within sixty days of the program. The credit voucher may be applied towards another Life West Postgraduate & Continuing Education program and must be redeemed within one year of the original scheduled program date or it will be forfeited. A $25 processing fee will be deducted from vouchers.